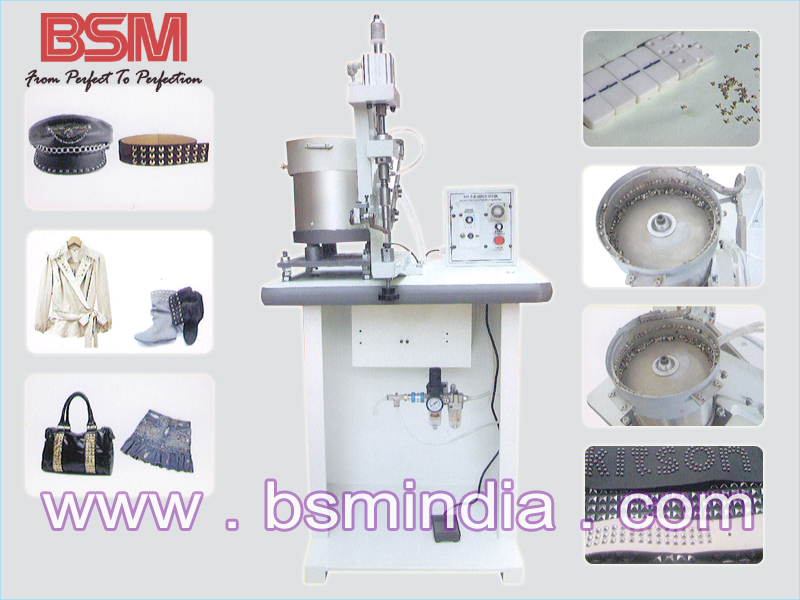 This machine applies in clothing, shoes, hats, suitcase waistband, handicraft and so on. 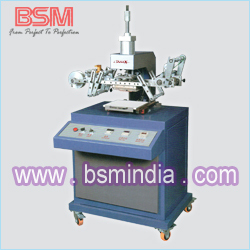 It has the characteriatic of laser localization, operation simplify and high efficiency. 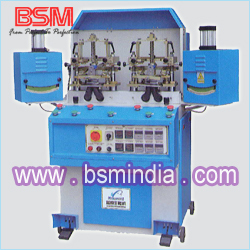 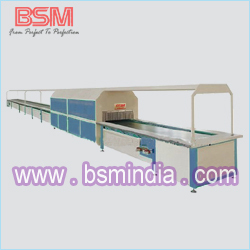 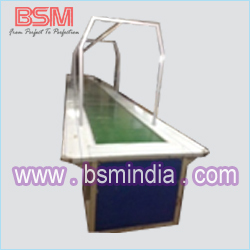 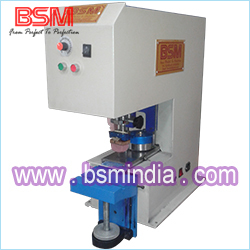 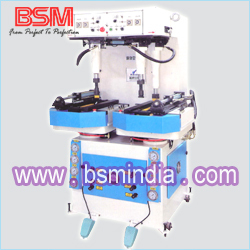 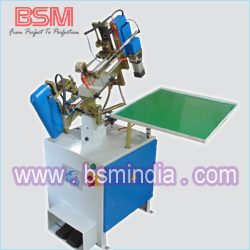 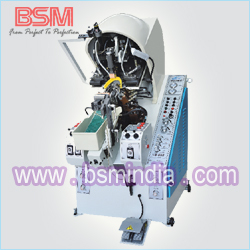 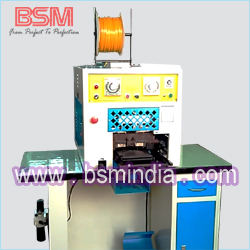 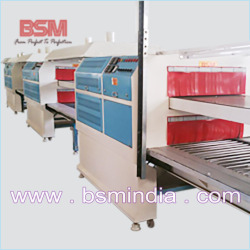 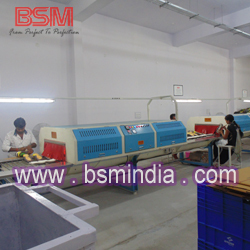 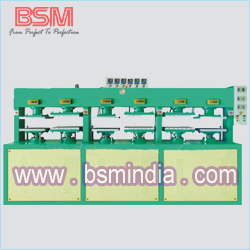 1 This machine applies to quadrate of circular nail whose size is 3mm to 10mm. 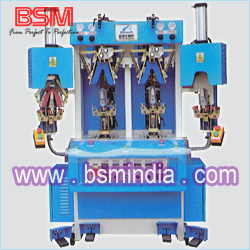 2 Feeding guide device automatic feeding, no need manual control. 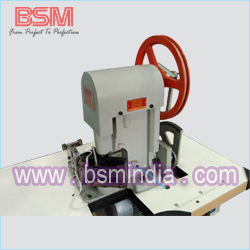 3 Adopt a new vibration plate device which you need not change it if you need change another nail. 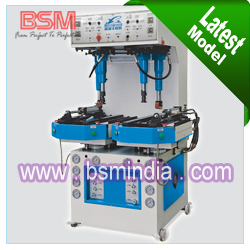 This design increase the durability of machine and extends its life. 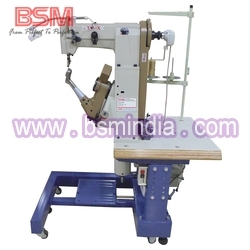 4 The speed of work, fixed dynamics and radiance can be adjusted. 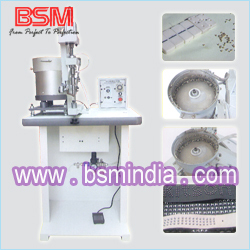 5 You can choose the nail (quadrate or Circular), according to your requirement, just need change the die. 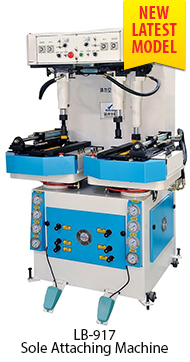 6 Easy operation, it is equal to 6 operator works; what's more, the contact surface does not distort. 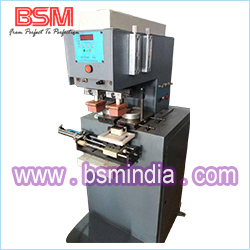 It is standard and artistic when counter-buckle.